A major upset in the Big Ten and a comeback victory in a battle between Navy and Army headlined a busy Saturday of men’s gymnastics. A multitude of team’s posted season high scores and Oklahoma only posted the third highest score of the weekend—so continue reading to find out who bested the Sooners’ score this weekend. Each week, we’re dishing out a few superlatives for some of our favorite moments, looks and results from the weekend of competition. Below those, you’ll find your typical results and highlights from every men’s meet. The Illini junior is undefeated on his signature event this year and is ranked second in the NCAA. His routine was definitely the highlight for Illinois’ this past Saturday as it tied for the highest score earned by any gymnast over the weekend. Known for his prowess on vault, the senior took top honors on a much different event on Saturday. Not typically seen as a high bar phenom, it was impressive to see Stephenson prevail on the event with one of the best high bar teams—Oklahoma—in town. The Big Storyline: After its first trip to Big Ten country this season, Oklahoma headed home victorious with wins over Illinois and host Nebraska. Although the Sooners suffered the lowest scoring pommel horse rotation of the meet, they were still able to break the 410 barrier and grab four event titles, led by Yul Moldauer’s floor and parallel bars wins. Nebraska, behind the strength of senior all arounder Anton Stephenson, was able to edge Illinois to take second after the Illini had some uncharacteristic struggles on parallel bars and high bar. Implications: With Nebraska’s upset of Illinois, the Huskers and Illini both have a 1-1 Big Ten record this season. Oklahoma extended its win streak to 107 straight matchups. 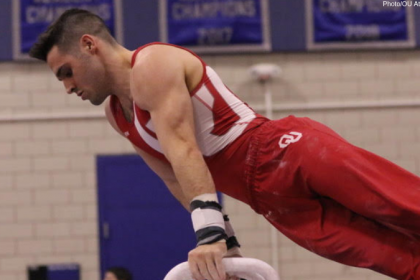 Records: Alex Diab now hold the record for most rings titles in Illinois history with 24 wins while his teammate, Michael Paradise, is currently undefeated on pommel horse in 2019. The Big Storyline: Stanford swept all the event titles as it posted a dominant victory at the annual Pac-12 Invite where every team was able to post a season high score. Freshman Brody Malone continued to impress for the Cardinal in the all around by posting his second straight score above 84 while David Jessen was the only double winner after nabbing titles on pommel horse and high bar. Host Arizona State hung with California for most of the meet, but the Golden Bears separated themselves from the Sun Devils by hitting 70 on floor for the first time this season. Nathan Tsuji was Washington’s best finisher, missing out on the floor title by just one tenth after posting a 14.600. Implications: After posting the weekend’s highest score, Stanford narrowed the gap between them and Oklahoma’s top ranking, which the Cardinal held after the first weekend of competition this season. Records: UIC transfer Asad Jooma’s career high 14.400 on vault helped lead California to a season high score on the event. Controversies: According to assistant coach Syque Caesar, the team had some major issues before the competition. Three members of the team became ill, resulting in only a 12-member team while several gymnasts’ luggage was also lost in transit. Thankfully, Stanford persevered to post its season high score. The Big Storyline: Led by Shane Wiskus’ three event titles and all around win, Minnesota won its first Big Ten matchup of the year by defeating Iowa while also besting UIC. After leading through three rotations, the Hawkeyes posted a season high total and won both pommel horse and high bar while sophomore Bennet Huang took second in the all around with a season high 80.250. UIC, who hadn’t competed since hosting the Windy City Invite, posted a season high score on rings led by Wes Diveney’s 12.600 to place 12th. Implications: Minnesota improved its Big Ten record to 1-1 while Iowa falls to 0-2. Records: Freshman Eric Nakamura’s 14.400 was a career high and team high for Minnesota this season while Mitchell Mandozzi of Iowa notched a new career high 13.750 on parallel bars. The Big Storyline: Despite Ohio State posting its season high score and breaking 400 for the first time, Michigan countered with its own season high to defeat the Buckeyes in the men’s gymnastics edition of the schools’ most heated rivalry. 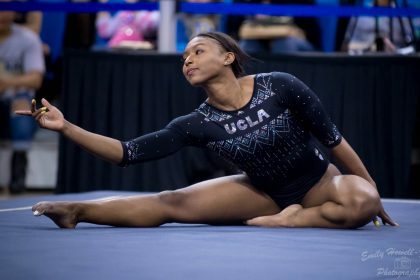 With Cameron Bock sitting out of the all around for the Wolverines after dealing with an illness during the week, Emyre Cole stepped up to win floor, vault and the all around. The highlight for Ohio State was superstar senior Alec Yoder, who led the young Buckeyes with his win on the pommel horse. Implications: In its first Big Ten matchup, Ohio State fell to 0-1 and Michigan improved to 2-0. Records: Cole’s 84.100 in the all around is his highest total since his freshman campaign in 2016 and is the fourth highest score this season. 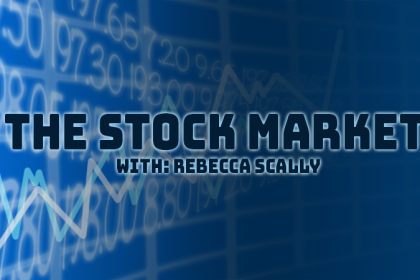 The Big Storyline: In the closest matchup of the weekend, Navy mounted a comeback after trailing by 3.650 through four events to narrowly edge Army despite only winning one event title. The Midshipmen’s large margin of victory on parallel bars and high bar were the deciding factor after the Black Knights won the first four events. Army’s Cole Casanova added another all around win to his repertoire while also posting the top scores on vault and parallel bars, and Cash Buske won the high bar title for Navy’s lone event win. Implications: Despite both schools posting season highs, Army will remain ranked 12th and Navy will slip to 10th after Iowa posted a higher score than the Midshipmen. Records: This was the first time Navy had won at Army since 2011. For the second time this season, Army broke the program record score on rings. The Big Storyline: All around and double event winner Calvin Valrie helped propel SC United to victory over NorCal United in a meet featuring the Chinese Jr. National Team. NorCal United, only six routines away from posting a full lineup, earned two wins with Will Ryan capturing the floor title and Jake Bergquist winning on high bar. SC United gymnasts posted the only scores above 14 of the meet, with Ivan Alpizar and Cameron Edwards-Rea hitting that mark on vault. Implications: SC United will likely fall to 20th in the rankings while NorCal United will stay at 21st. Records: NorCal United’s score of 270.550 is the second highest total in program history. Controversies: We have no scores for the Chinese Jr. National Team! Although they weren’t factoring into our collegiate rankings, it would be great to see some of the scores of China’s future stars. The Big Storyline: William & Mary used a season high score to knock off visiting Temple at home in the Virginia State Open. 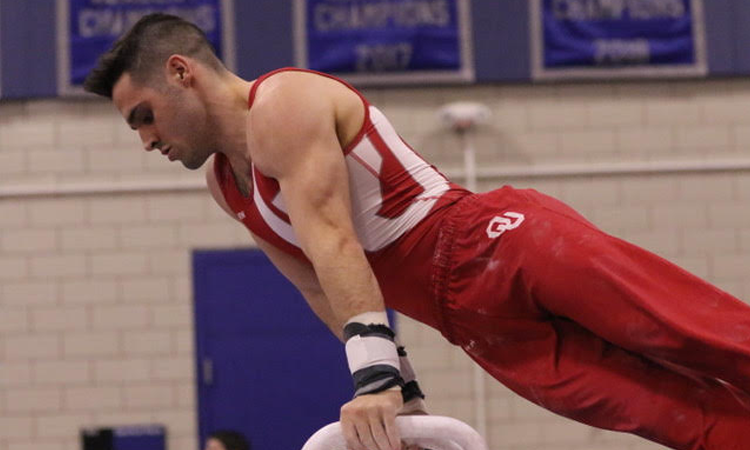 The Tribe’s Cutter Fuget won floor and parallel bars to be the only double event winner of the meet while the Owls’ Nicolino Dibattista posted the top score in the all around to capture Temple’s lone title. Implications: With both teams posting scores similar to their averages, Temple and William & Mary will likely remain ranked the same in next week’s standings. 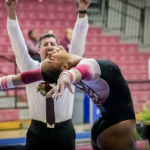 Records: For only the second time since the 2017 season, Temple was able to field a full lineup of gymnasts and record a competitive team score.